If you love to wine, dine, travel and indulge in the finer luxuries of life then the Noosa Food and Wine Festival taking place in Brisbane, Australia from 17th to 20th May is one of the best places to be on the planet right now. 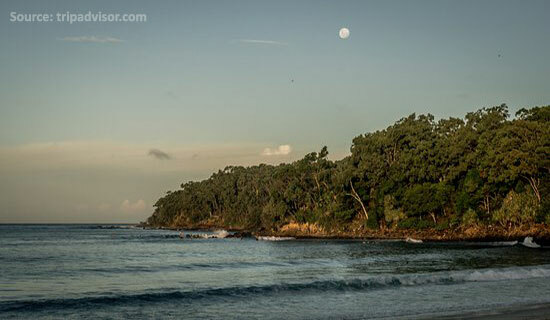 For those of you not familiar with the name and how this festival came to be, Noosa is the place where the entire inspiration for the Noosa Food and Wine Festival came from. Guests will get to sip in some of the finest craft and brew beers from around the country. Some of the finest regional brewers are expected to be here this year showcasing their best brews. Patrons will get to enjoy some of the food from some of the best local chefs and restaurants during the weekend. Some lip-smacking dishes and grills will await you this year of the festival. Get a chance to meet some of the most prestigious local artisans in Australia as they bring along their rich produce to the place. Learn the secrets from the artisans themselves and enjoy a good time at the tasting sessions. The entry per guest to the festival is $30 per person and a special discount for the locals which will also include a complimentary drink. This time around, the organisers have planned to go cashless so be ready with your debit and credit cards. Not to fret even if you don’t have cards on you as the festival will also allow for mobile wallets to procure the tickets. If you are prepping up for the Noosa Food and Wine Festival this time around then, wouldn’t it be best to go to this event looking like a million bucks. If you are looking to enjoy some good wine then be sure to visit Cracka Wines known for its amazing collection of wines from every corner of the world. The main highlight of the festival would definitely be The Audi Long Lunch that is bound to take place in Hastings Street. The event slated for 19th May will host a three-course special lunch and will include iconic places in Noosa including Aromas, Boardwalk Bistro, Locale, Bistro C, Rococo, Café Le Monde and the famous Noosa Beach House. The beverages for the event will be provided by the renowned Estrella Damm and the Dalz Otto. Each of these restaurants will also feature a dedicated wine menu for the guests. The ticket for the event stands at $145 which already is proving too popular with organisers now planning for a ballot system to hand out the tickets. This event is just as you thought it would be. 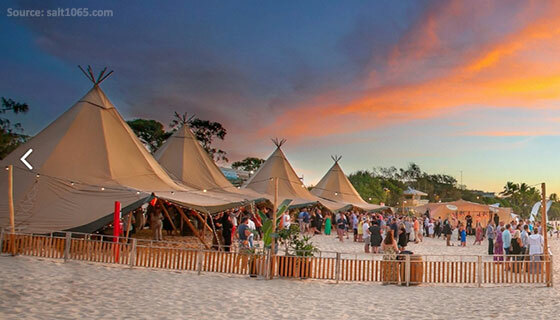 Main Beach in Noosa will be holding the event with fare provided again by the Boardwalk Bistro and Bistro C. Drinks would be aplenty at the event and there is to be a dedicated dance floor with a live DJ for the guests. It would also be a dress themed event this time around where patrons will be asked to dress up as per a theme which could potentially earn them prizes. The tickets for Under the Moon in May is set at $195. For ardent foodies, Peter Kuruvita is a renowned name both locally and internationally. His show, My Sri Lanka With Peter Kuruvita was an instant hit winning many accolades and awards. This Noosa Festival, Peter Kuruvita along with friend Matt Wilkinson will be preparing a 4 course meal along with matching wines that will come from the produce grown within a 100km radius. You can expect classic Sri Lankan food with a twist of Australian Cuisine along with it. A must go venue for any food lover.